Purified Water, Sodium C14-16 Olefin Sulfonate, Cococamidopropyl Betiane, Sodium Laurylglucosdies Hydroxypropylsulfonate, Aloe Barbadensis Leaf Juice, Panthenol, Jojoba Oil, Borage Oil, Extracts of: Arnica, White Tea, Lavender, Calendula, Citric Acid, Sodium Benzoate, Potassium Sorbate, Ethyl Hexyl Glycerin, Disodium Edta, Tetrasodium Edta, Sodium Phytate, Fragrance. 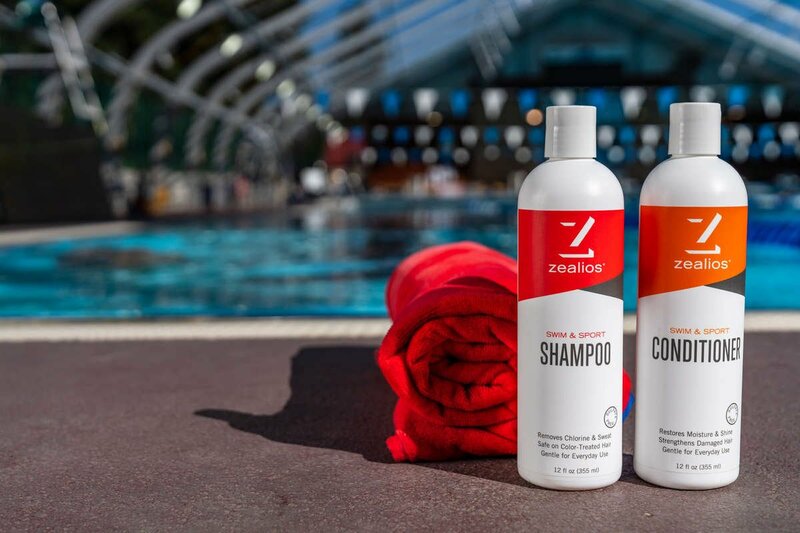 Say 'NO' to swimmer's hair. But shouldn't look like you did. 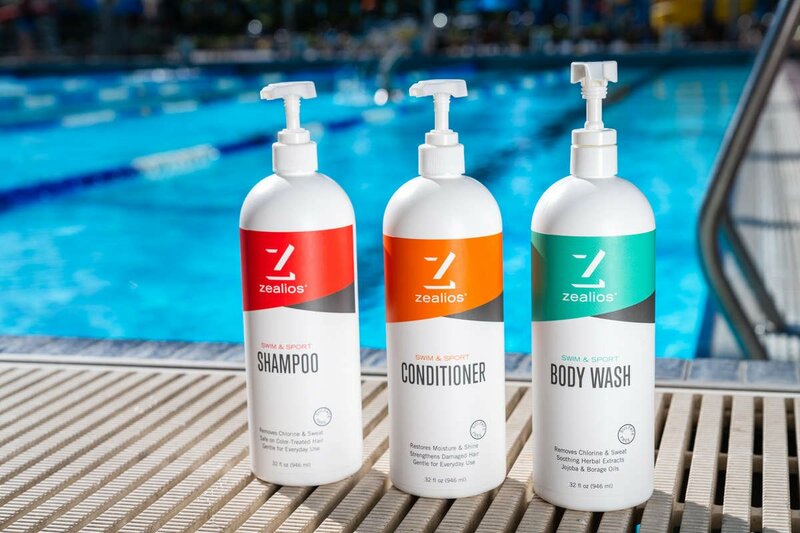 Our Swim & Sport Shampoo removes chlorine, heavy minerals and salt without drying or stripping your hair. Sulfate-free and safe for processed & color-treated hair. Vitamin B adds strength to your follicles and keeps you looking good! Save more with our special discount bundles! Also available in perfect shower 32oz pumps. IT'S TIME TO DITCH THE CHLORINE!